This project we began with the help of Mr Stanislaw Plewako, Family Tree DNA and the University of Texas, USA. I am confused with results of the full 67 marker test that was completed. 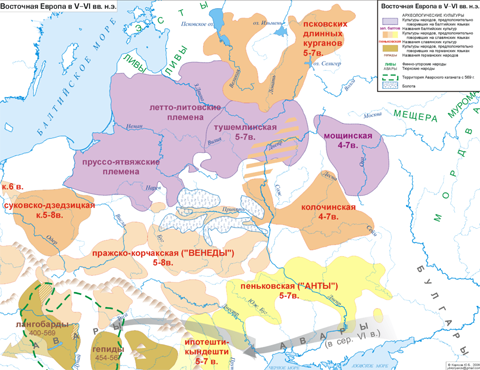 On the one hand it seems that your results are similar to the results from the district of Minsk (Minsk Belarussian), on the other hand you have two markers characteristic of the so-called Dinaric (Dinaric South) the markers DYS448 and DYS449 which for the North Dinaric have a value of 20-32 and -29 for South Dinaric 19. Representatives of I2a-Dinaric are rare in Belarus, Ukraine, but most of them coming from Bosnia, Serbia, etc. I'm not sure how to interpret the results. Maybe find your close relatives to explain the mystery?" So we are looking for more participants to our DNA project. Please see the white colour on the map, the tooth of the upper-Niemen. This inevitably affects the culture of the area Drewlan southeastern Polesia and culture prasko-Korczak http://en.wikipedia.org/wiki/Korchak_culture. This culture should be identified with the people I2a. Referring to the published on the www.matusewicz.org my discussion of the first DNA result I would like to introduce two hypothesis, however there may be also others. Racowie (from Rac – in old Polish Serb) - light hired horse , founded in the fourteenth century in Hungary , recruited from among the Serbs living in Hungary belongs to Dalmatia and Banat and Backa . That group developed especially Hungarian king Matthias Corvinus. After the defeat by Turkey in Kosovo Polje in 1389, and the annexation of the Balkan countries racowie seek space for themselves in the Christian part of Europe, to continue the fight against the Ottoman enemy. To Poland they arrived in the late fifteenth century, and supported the Polish kings in the Battle of Kleck in 1506, and the Orsha in 1514 . The only equipment was a wooden knight's lance, saber (sword) and high, wooden shield in the shape of a pot, cut from the left side of the rectangle, which provided protection and visibility at the same time. They were riding a small agile horses, and it was called the “usarski equipment”. 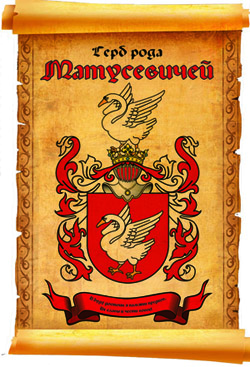 Racowie were ancestors of the later famous Polish cavalry the husarzy. Since they took part in the famous Battle of Orsha 1506 and Kleck 1514, it is possible that settled in Duchy of Lithuania, and It would be very natural the Matusewicze are part of them. The second explanation is more interesting. Well, it could be because the reservoir for group I2a or what to call it I2a - Dinaric group will be not Dinaric alps but – Polesia, part of Poland. 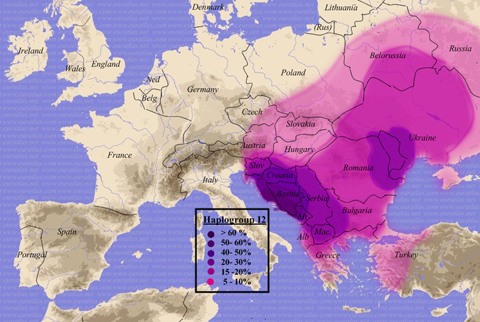 Then in Polesia has the largest haplotype diversity and from here I2a moved to other large areas of Europe, from northern Greece to southern Estonia. Whatever the origin of Jarosław haplotype - we know that he has one of the male line of biological genetic of Matusiewicz, and it is valuable. The more of these characteristics - the greater the chance of finding a common lineage by next participants in genetic testing.